Quick Fix Studio. This second year studio forced us to look beyond what we already know the practice of industrial design to be. Through the discourses, design for the needs of user, community, culture and bio-centric notions of environment – to considering the discipline as an entirely new and rethought practice that designs for the changing imperatives of community and culture as a factor of an environment in order to change industry, and thus the nature of the discipline. Throughout the semester we explored alternative design methods, from open source software, to DIY aerial photography. The final outcome was a service design proposal. The service was a sustainable living skills workshop aimed at university students. The workshop series was designed to equip students with skills and knowledge to assist in their transition from home life to their own life. All filtered through the faceted lense of sustainability. 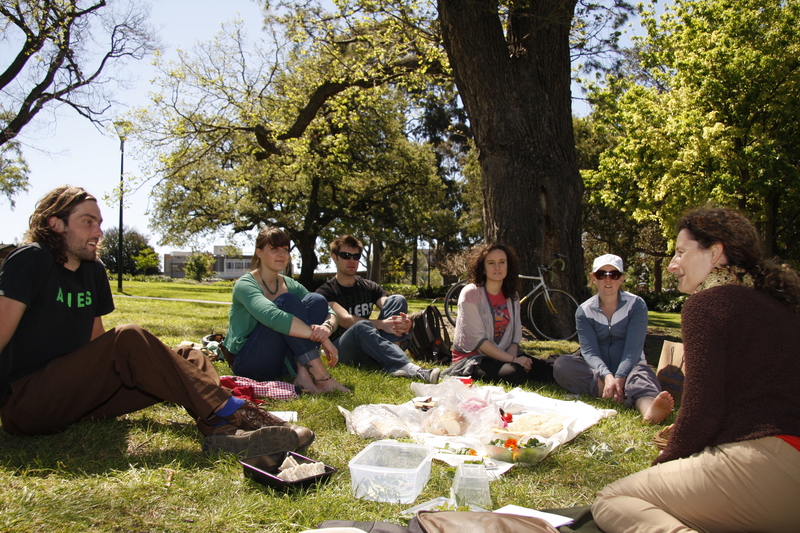 The format of the workshop was a weekly picnic, each focused around a specific topic. Eg. ‘Sustainable food options’. A series of guests would be present at each to speak on an aspect of the topic, eg. organics, community gardens, dumpster diving. 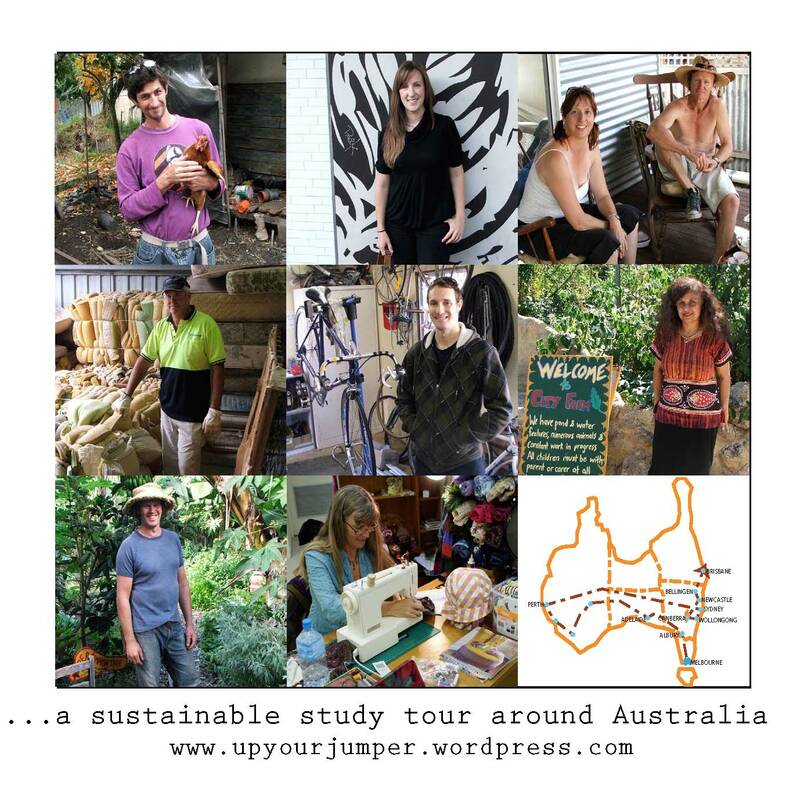 1: As a bag with a map of Melbourne to record their new sustainable locations. These could then be transcribed onto a group Google map. 2: At the picnic the bags would be joined together to create the picnic rug and allow other participants to look over the each others maps.